A clear understanding about window film and recognizing that there are myths, the owner-managers will have another tool for tenant satisfaction and retention. The Dundas Edward Centre at 180 Dundas in Toronto had a problem with solar heat gain prompting a number of tenants to complain about comfort. "Our standard response was to say, "Keep your blinds closed," says The Sorbara Group's Emil Vertes, the property's general manager. But solar heat gain continued to plague tenants of the 26- storey, 270,000-square-foot building, so an energy conservation program was devised. Among the initiatives was the idea of replacing the windows with double-pane, tinted glass - an option that would have involved a major capital investment. A more viable option, building management discovered, was to install window film. "Of all the things we did, the window film gave us the biggest feedback. It was the thing tenants noticed the most," recalls Vertes. And Vertes noticed tenants were keeping their blinds open more often. "What's the point of having a window if the blinds are always closed." Early window film applications were developed for the space program. Little surprise when you consider the magnitude of the solar heat gain problem NASA faces. Depending on its position relative to the sun, a spacecraft is exposed to temperatures that range from 400 degrees above to 400 degrees below zero Fahrenheit. Reflective technology has always been a part of the NASA tool kit when dealing with this problem but it first showed up in commercial building applications in 1966, as a film patented by the 3M Company. Before this, buildings were still clad with tinted glass, but the solar heat gain reduction of this glass - at approximately 30-percent - was still not good enough to represent significant cost savings. Reflective glazing, the practice of coating glass with a reflective coating, only came about in 1976 - ten years after the initial introduction of window film. "This is perhaps because it took glass manufacturers some time to figure out how to adhere the reflective material to glass," says Helmut Seesemann, national account manager for the window film distributor The Convenience Group. Seesemann, who has been working with 3M products since 1976, says modern reflective film offers up to 79% heat gain reduction. In the last 37 years, window film has proven, for the most part, to be an effective and economical solution to heat gain problems. But despite its many significant advantages, window film is not always a solution owner-managers care to entertain. Film applied to glass will cause thermal glass breakage. Film applied to glass according to manufacturer's specifications can never be the sole cause of thermal breakage. Only if the glass is not manufactured and/or installed to established industry standards can window film be a contributing factor. To reinforce this point, some window film solution providers even offer a five-year thermal breakage warranty that includes glass and film replacement. Films applied to Insulated Units will cause seal failure. Window Film has been applied to millions of square feet of insulated glass units throughout the world for more than 40 years and have never been shown to be the cause of seal failure. Specifically, the installation of a film such as 3M's Scotchtint will only increase the pressure by 0.55 psi (pounds per square inch), while the federal specifications require windows to withstand a minimum of 3.30 psi. - more than six times the film's potential pressure increase. Many window manufacturers will honour their seal failure warranty if a recognized window film is applied. Films will discolour over a short period of time. Most higher quality window films are protected by ultraviolet inhibitors, guaranteeing that the films will not discolour over time. 10-year manufacturer's material and labour warranties usually back up these claims. Films are a short term "band aid" solution. The higher quality polyester window films offer an abrasive coating and adhesion technology that ensures that the specific requirements related to performance and appearance can be met over the long term (20 years or more). After this time, the film can easily be removed and replaced with a new film.  The 3M films are compatible with standard ammonia-based cleaning solutions and procedures. Reflective films prevent viewing out at night. Some of the newer products, such as 3M Night Vision Films, not only offer the required solar protection but also allow clearer viewing from the inside at night. The best indicator that window films work is the thousands of satisfied customers who have addressed a variety of problems associated with their windows. It has been proven that the higher quality films block up to 79% of the solar heat, reduce glare up to 83%, block 99% of UV rays and reduce heat loss in winter by up to 30% (low E films). If reflective glass was not installed during initial construction, window films offer a cost-effective solution for the existing windows to look and perform as well or better than reflective glazing. Window films have often reduced the HVAC load on buildings to the point where expensive upgrades to equipment were unnecessary. 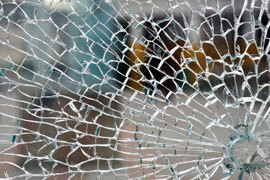 Will Window Films Cause Glass to Break? Thermal Stress - from absorption of solar radiation. Tensile Stress - from the weight of the glass itself. Mechanical Flexing Stress - from wind. Impact Stress - from flying objects, (hail, baseballs). Twisting Stress - from building or window frame sagging or settling. The first type, thermal stress, is the only one which film may affect. 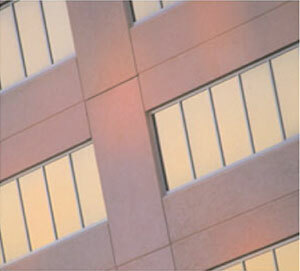 The use of window films will increase the thermal stress on sunlit glass. However, there are also other factors which will increase thermal stress such as: partial shading of windows from overhangs, tightly fitting drapes or blinds, signs or decals on windows, heating and cooling vents directed at glass. In addition, different types of glass (annealed versus tempered, clear versus tinted) have different solar absorption rates and will withstand different degrees of thermal stress. How Long Will Film Last? The effective life of window film will vary by the type of film, type of glass, window construction, compass orientation of glass, and in which part of the world the building is located. There are documented cases of higher quality film lasting over 25 years. All quality window films for residential and commercial use are warranted by the film manufacturers for a minimum of ten years and up to fifteen years. The warranty includes an address to contact the manufacturer directly should any questions arise either before or after the installation of the window film.